It's not often that the beauty industry celebrates old age but natural brand, Weleda is celebrating its 90th birthday this year. 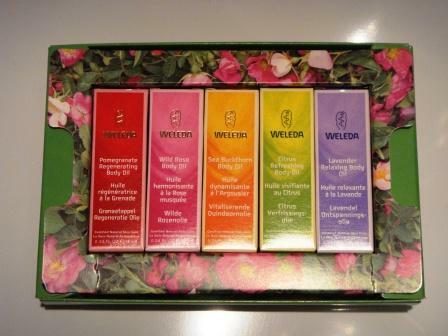 Founded in Switzerland in 1921, Weleda was pioneering for its time, creating natural products for those who wanted to maintain and promote wellbeing. 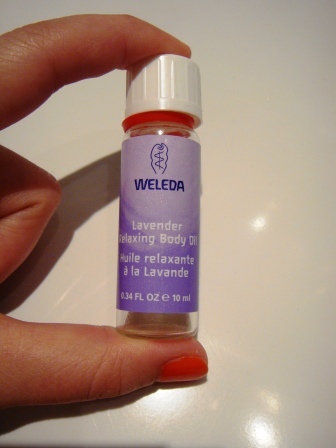 I confess that Weleda isn't a brand that I'm overly familiar with but I've been happy with the few products that I have tried and I've always thought that the range represents good value for money. 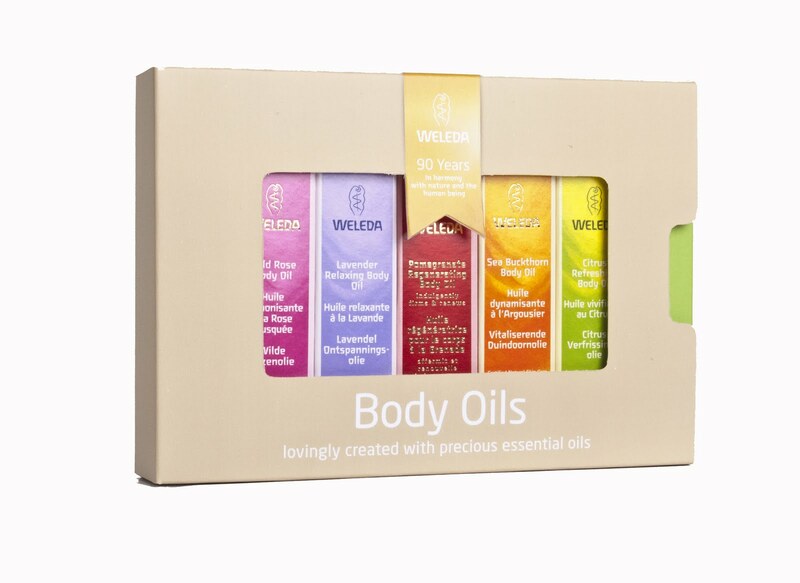 To celebrate their 90th birthday, Weleda has launched a miniature set of its bestselling body oils which I was sent to review. There are five oils within the set- Wild Rose, Relaxing Lavender, Regenerating Pomegranate, Nourishing Sea Buckthorn and Refreshing Citrus. My overwhelming first impression was at just how pretty the set is- it would make a gorgeous gift if you could bear to part with it. It definitely looks more expensive than the £9.95 pricetag. Like the box of chocoates that it resembles, I couldn't wait to crack open the box and have a try. First, I tried the Relaxing Lavender Body Oil after a particularly stressful day and thoroughly enjoyed using it. I realised that it's been some time since I've used a single note oil as I tend to opt for blends such as my favourite by Aromatherapy Associates. However, there was something quite comforting about going back to basics and inhaling the reassuringly familiar scent of pure lavender. The formula itself is the perfect balance between being nourishing without being so thick that it leaves skin feeling greasy and I found this to be the case with all of the oils. I don't particularly like Weleda's take on pomegranate fragrance whereas the Wild Rose was probably my favourite. It's not overly floral but has woodsy tones which keep it wearable & modern. Having said this, I very much liked the fresh, lemony scent of Citrus Body Oil which is wonderfully refreshing for summer. I wasn't entirely sure what to expect of Seabuckthorn. It's a slightly richer oil than the others and has a subtle orangey, liquorice scent which I suspect people will either love or hate (I really liked it). Each of the bottles measures 10ml, sufficient for around 3 uses over the entire body. To me, this represents good value for money as you can try a variety before investing in the full size. I really enjoyed trying this set- thumbs up!